We are introducing a brand new series of Photo Essays! Have a look at amazing Photo Sets all shot by talented photographers. Explore the vibe of the city, its hidden treasures, meet the Torontonians! This time, let's have a look at Toronto through the lens of Roland Shainidze! "Experience... Ontario Place kids just want to have fun!" Ontario Place is a cultural, leisure, and entertainment parkland located on the shores of Lake Ontario (conveniently just 4 kilometres from Downtown Toronto) that was opened in 1971 and consists of three man-made islands. It has been an extremely popular family destination with emphasis on kids-friendly activities for years. In 1980, attendance reached a staggering 2 million visitors. Probably due to the many other Toronto attractions competing for people's interest, attendance began to drop significantly until the number of visitors reached an alarming decline of 83.6 per cent in 2010. It was obvious that something needed to be done to boost this place's image a bi,t and so the government made a decision to partially close Ontario Place and start preparations for a massive revitalization project. What was Ontario Place like in its old days of glory? "It should be an exciting place, just as Ontario is an exciting and dynamic province." These were the words of the Premier of Ontario John Robarts when this new multifunctional site was developed in 1969. 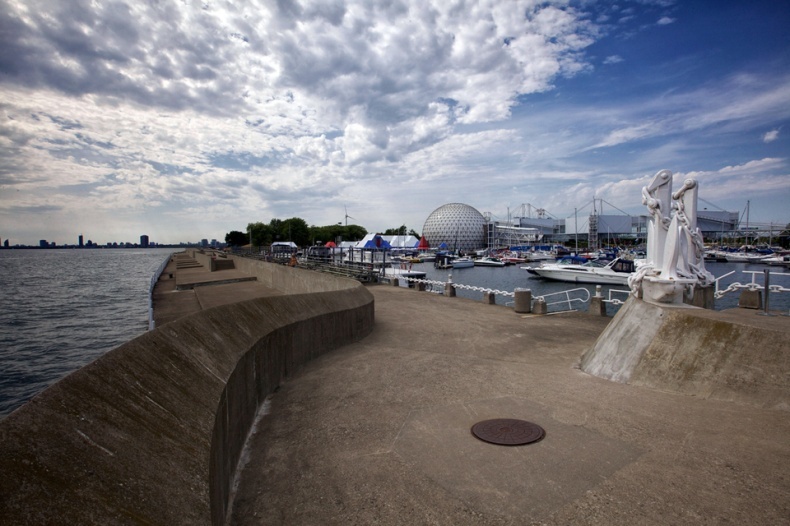 After the long and heavy industrialization of Toronto's waterfront during the first half of the 20th century, Ontario Place was seen as a second chance to revitalize the area and bring people back to the waterfront. The architecture of Ontario Place truly is extraordinary: the five steel and aluminium pavilion pods are anchored into the water and supported by large pipe columns. 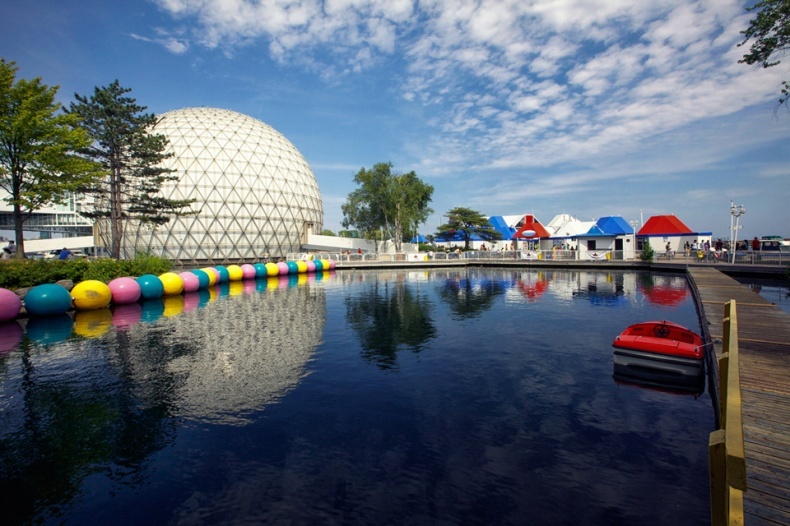 You have to imagine what an excitement it was when Ontario Place introduced many breathtaking new attractions for that time: Canada's very first water slide and waterpark, a large concert venue, and the Cinesphere — the world's first permanent IMAX theatre. 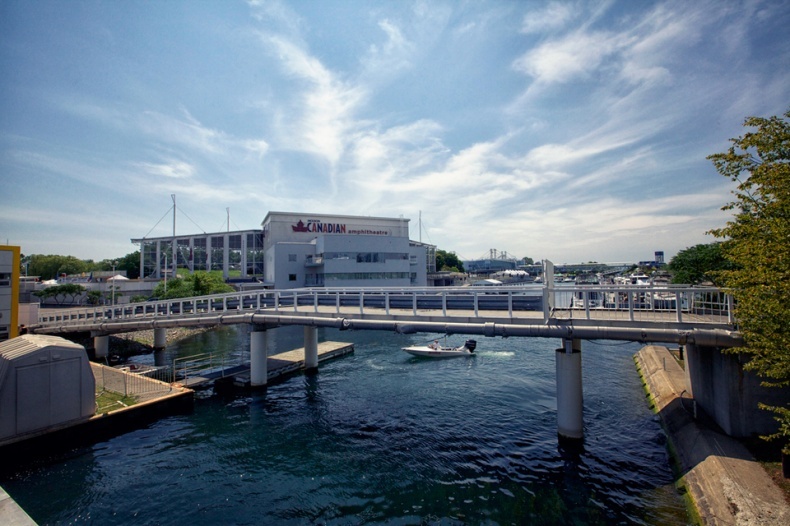 As the whole site is constructed on the shores of Lake Ontario, visitors have access to a beautiful public marina close by. 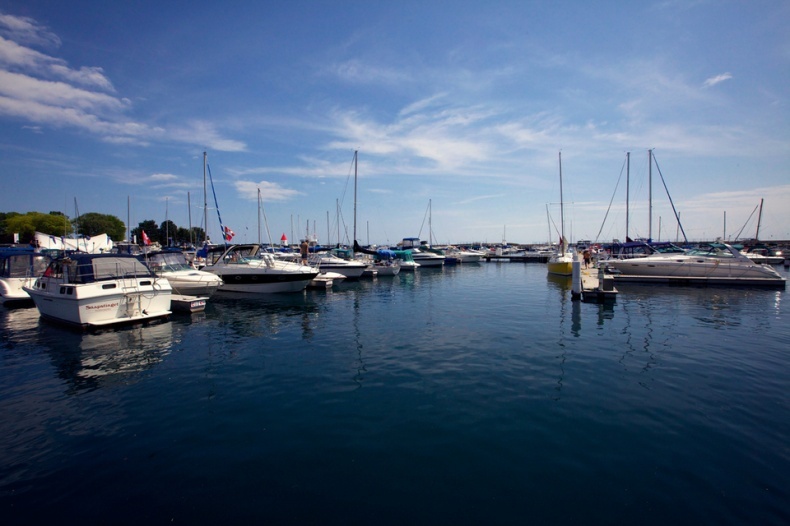 Just minutes away from Toronto, this marina is a great mooring facility for vessels. Later on, three concrete silos were built on the West Island that feature small exhibitions focused on Northern Ontario wildlife. The original concert venue, Forum, was later replaced with the much larger Molson Canadian Amphitheatre, with a capacity of 16,000 seats. This open-air venue was opened with a concert by Bryan Adams in 1995 and has hosted major international acts such as R.E.M., Coldplay, and Jack Johnson. If you live in Toronto, you must have seen at least one concert with your friends at Molson. Another exciting venue in this area is Toronto's hottest outdoor concert venue, Echo Beach. What could be better than watching your favourite act under the stars on a real sand beach with spectacular views of the Toronto skyline in the background? 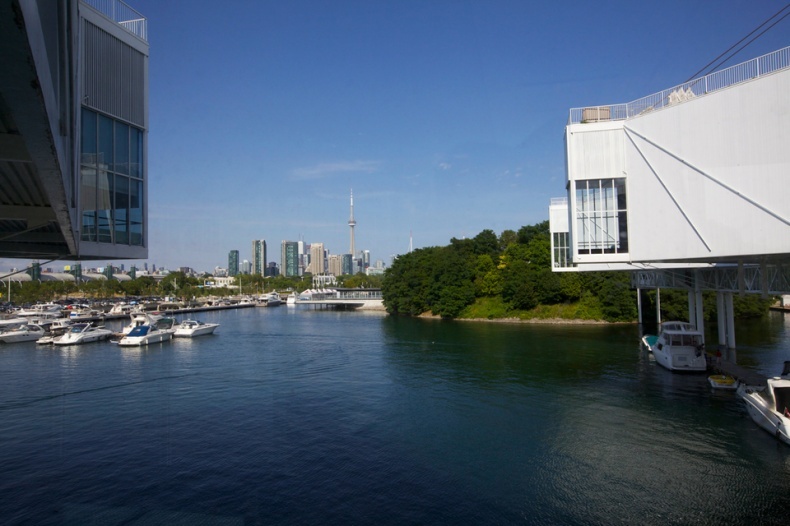 Ontario Place is known also as the perfect location for private or corporate events and has hosted a number of large conventions. 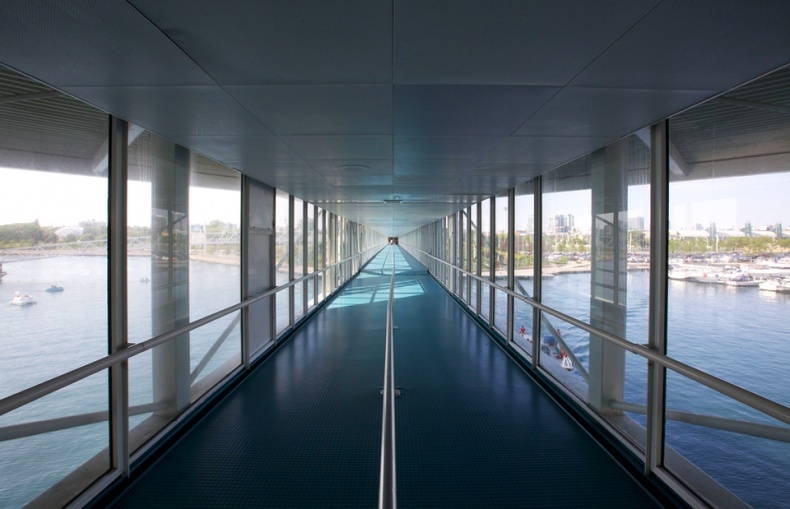 The Atlantis Pavilion is the city's premier waterfront banquet and convention facility, with spectacular floor-to-ceiling windows that will continue to operate, as parts of the complex will stay open. 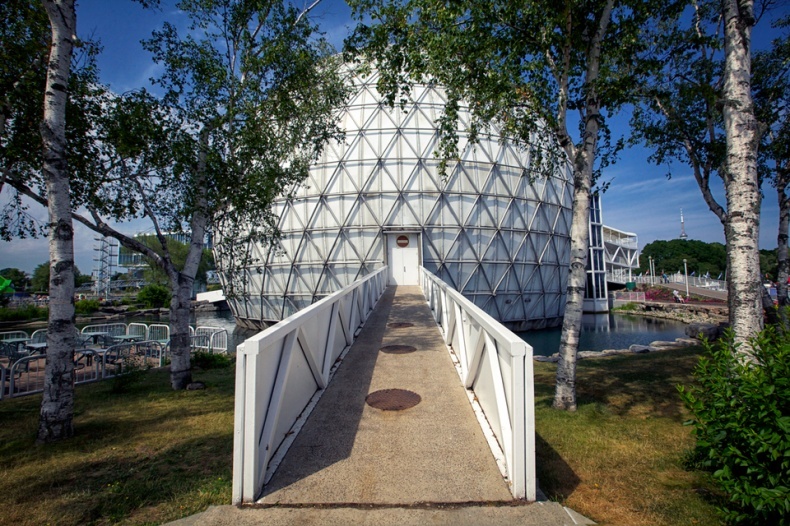 Currently, Ontario Place has entered the process of redevelopment towards a new and exciting future. 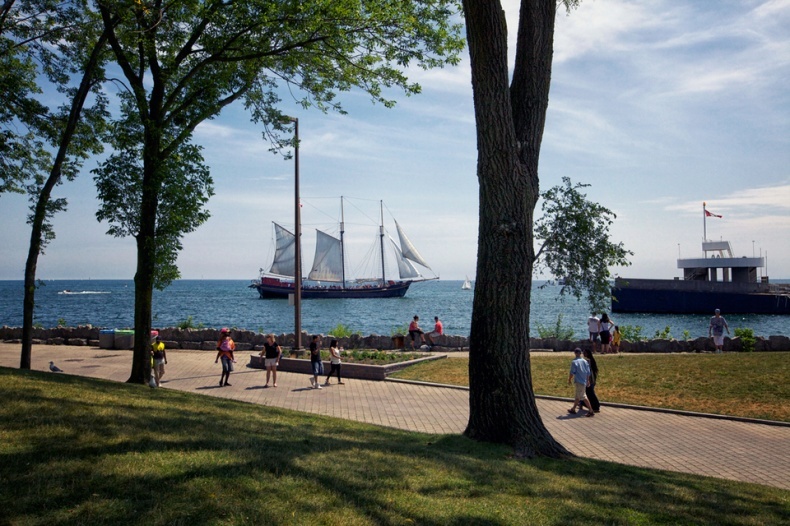 Many Torontonians have become involved and showed interest in creating a refreshed and vibrant Ontario Place. For example, Humber College and the University of Toronto have both used this project as a real-world case study in class and submitted students' ideas to the government for review. We'll see if any of their suggestions turn into reality. We're hoping that we will soon get back this wonderful site, ready to entertain visitors in the new millenium! What are your memories from Ontario Place? Share them with us in the comments below. Roland Shainidze is an amateur photographer in Toronto. He is a graduate student in humanities at York University and his photography is focused primarily on architecture, both interiors and exteriors. 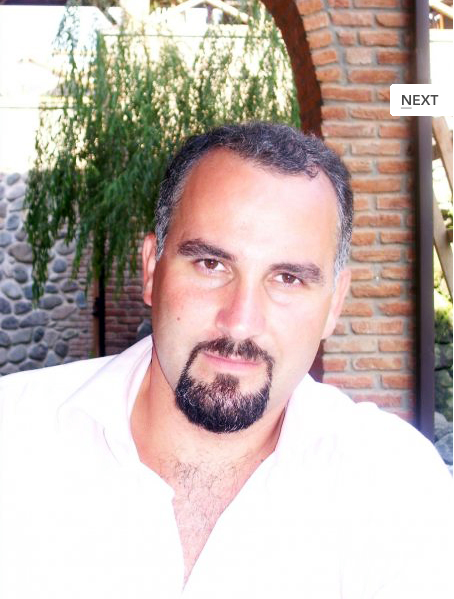 He has taken photographs in Toronto, Montreal, Quebec City and Ottawa as well as his native Georgia. Roland uses HDR tools to transform the presentation of the imagery of architectural elements. Self-taught, he takes every opportunity to take pictures and experiment with them; playing with lines, patterns, light and selective colour. June Krazy Kontest Winner	Using YouTube Videos to Help Sell Your Home Fast!